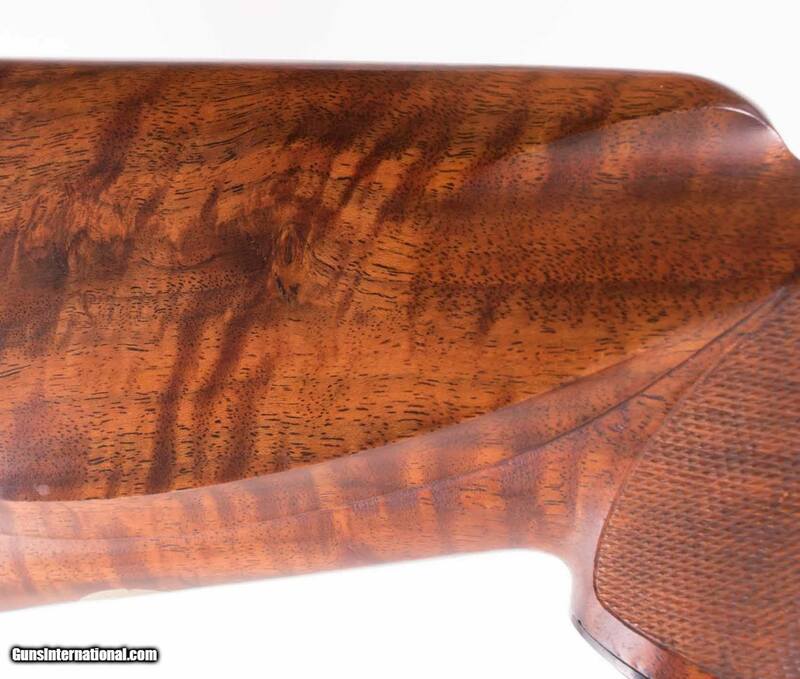 General Specs: Bill Dowtin, Year 1973, Gauge, 10lbs 1oz, .416 Rigby, LOP 14"
Here we have a fine dangerous game rifle built by Bill Dowtin, who is well known in the custom gun world as an accomplished gunmaker with over 35 years of experience. 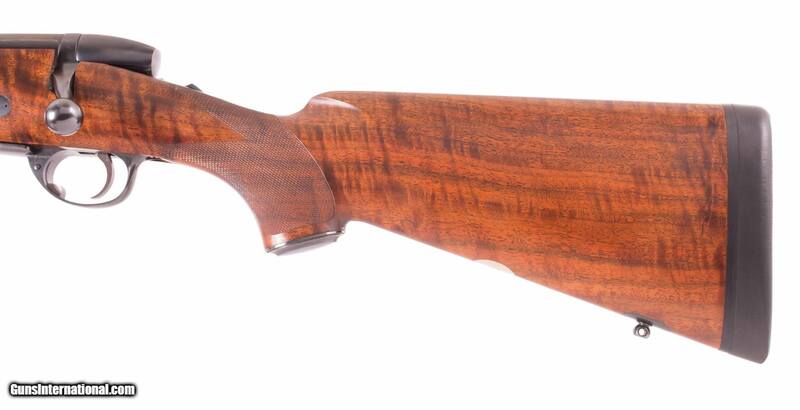 Dowtin has earned a reputation by only producing the finest, FUNCTIONAL, rifles with properly laid out stock blanks, precise inletting, and rifles that are known to shoot precisely. 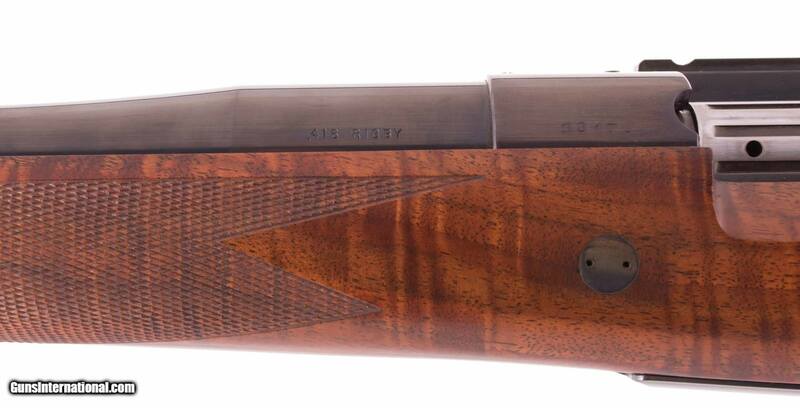 This fine rifle is no exception. 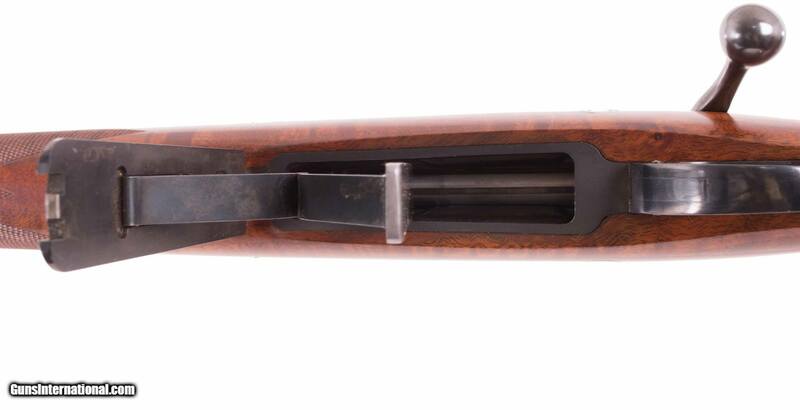 Built on the Weatherby Mark V action with many modifications, there will be no worry about hot loads in the hot climate of Africa spiking pressures and rendering lesser actions useless. 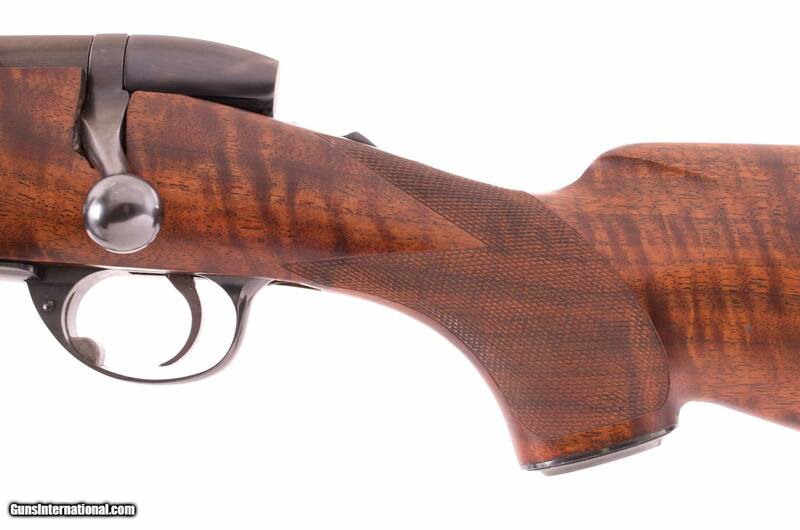 The Weatherby Mark 5 magnum action with 9 locking lugs on the bolt has been tested to well over 100,000 psi and cartridges still fed and ejected. 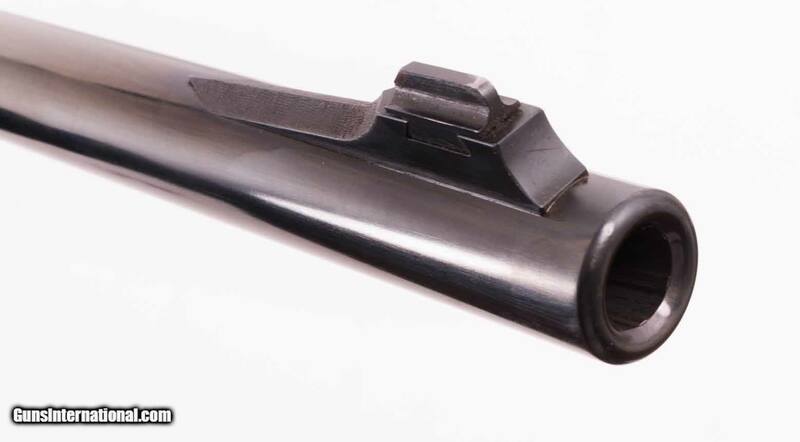 The shortest bolt throw in the industry makes the Weatherby the fastest bolt rifle in the terms of feeding the next round, and the Weatherby is known for silky smooth bolt operation and positive case ejection, all contributing to its usefulness for quick follow up shots and reliable ejection and feeding that may save a hunter’s life in a bad situation. 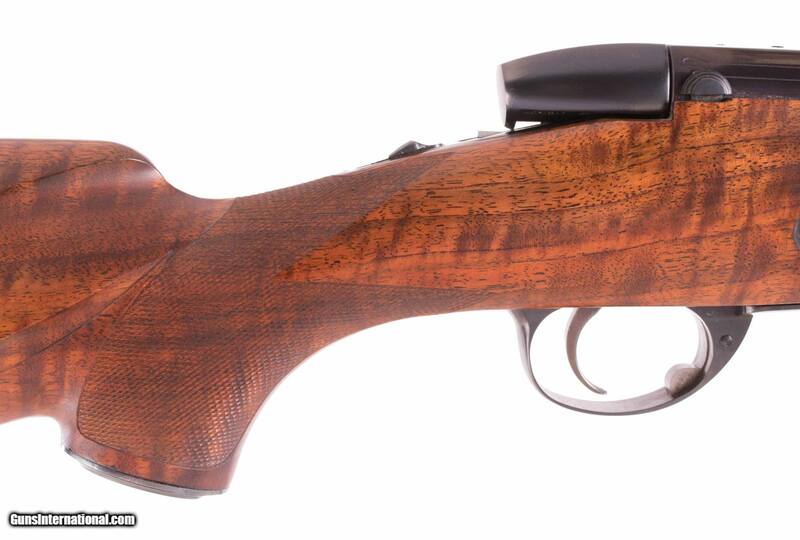 This rifle, built in 1973, has many features you would expect to find on a Bill Dowtin rifle, including an extended top strap with a tang mounted safety, Bill Blackburn bottom metal, Canjar trigger that has zero creep and over-travel and breaks clean at 3.75lbs., a fine European walnut stock, nicely figured with shadow line cheek piece and ebony forend tip, borderless wrap around checkering flawless in its execution, and inletting so well done it doesn’t seem possible. 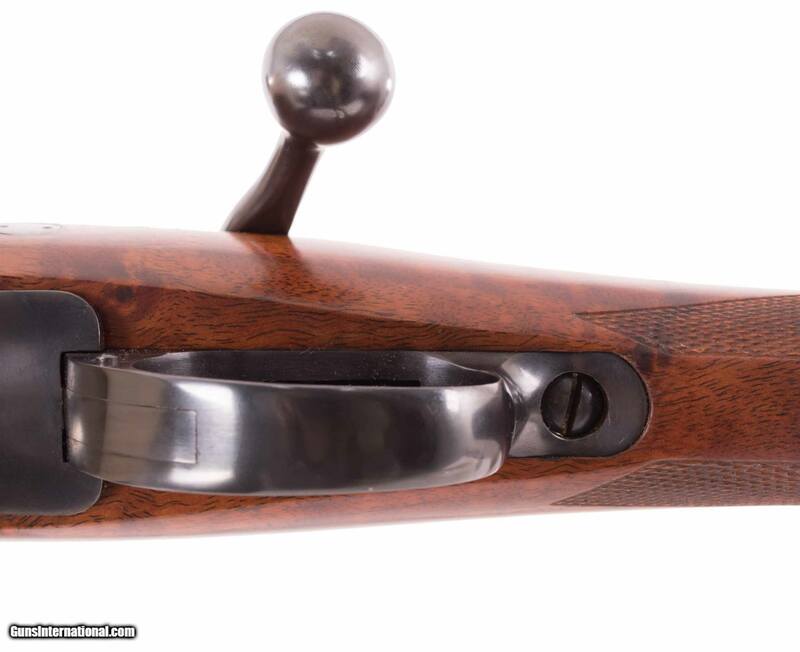 The heavy contour 26” barrel retains all of its lustrous blue, 2 leaf rear sight, barrel mount sling swivel, and sharp clean rifling in a bright shiny bore. The rifle is mounted with the well-respected Griffin & Howe double lever scope mount, allowing dismounting the scope for travel or for iron sight use and reinstallation without loosing zero. 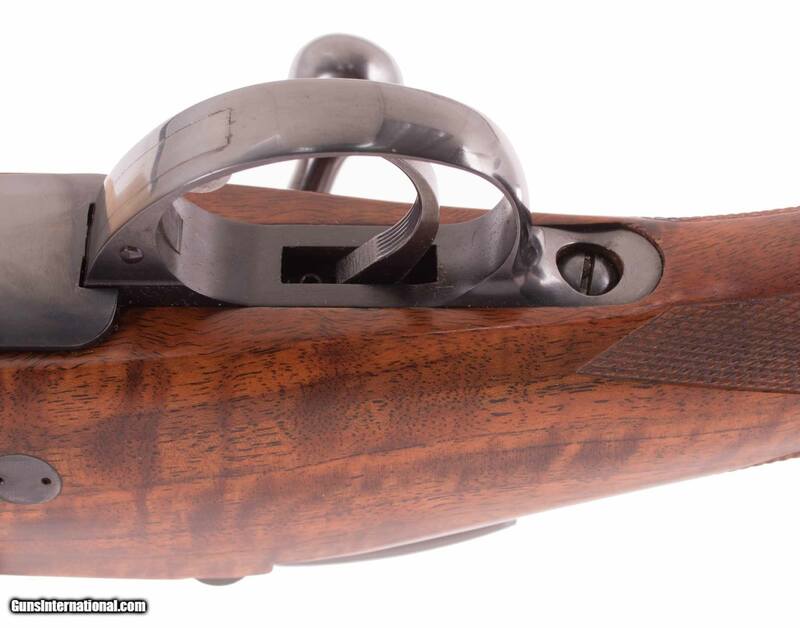 The G & H mount for a left-handed rifle is rare and very desirable. 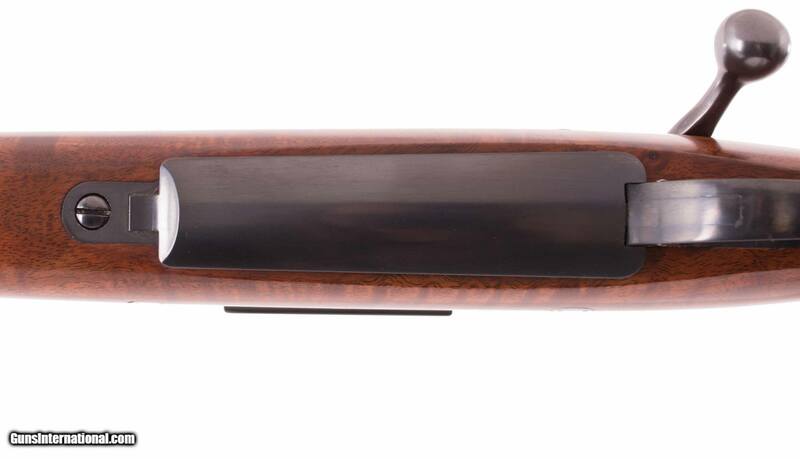 The scope is the appropriate Weatherby Supreme in 1.75-5 x 20 with the Duplex reticle in excellent condition. This rifle is stunning and ready for heavy, dangerous game. 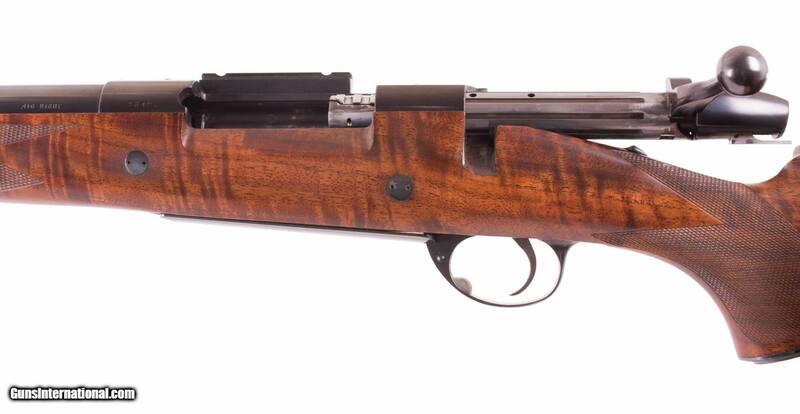 The .416 Rigby is a great pairing for this Weatherby action as it is known for smooth feeding, even in adrenaline filled moments, and a wide variety of loaded ammunition is available. 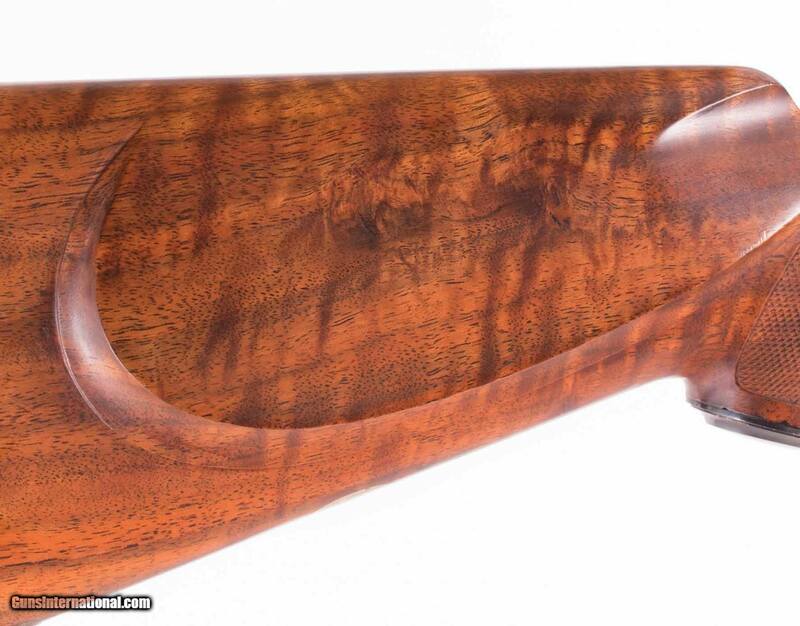 LEFT-HANDED SHOOTERS RARELY SEE FINE CUSTOM RIFLES OF THIS NATURE. DON’T HESITATE OR SHE WILL BE GONE. Thanks for looking and enjoy the photos!